The technology, BugVibes™, helps home gardeners to grow organic food with methods that are safe for families, pets, and honeybees! Due to the increasing numbers of invasive pests and the advent of genetically engineering (GMO) crops, pesticide use around the world is rapidly increasing. Home gardeners and organic farmers, plagued by insects, are trying even more complicated organic growing methods to produce beautiful, healthy, ornamental plants, fruits, and vegetables. Even some of the best methods used in modern organic farming cannot avoid killing beneficial insects such as honeybees. BugVibes™, introduces a brand new electronic device that equips home gardeners with a technology more advanced than anything used by even the most professional organic growers. 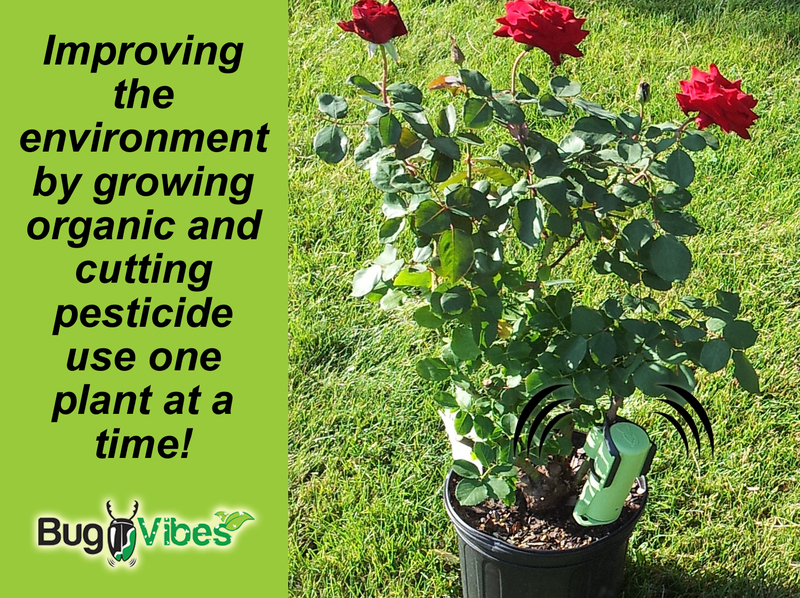 BugVibes™ is a simple electronic device which uses a soft durable rubber strap to attach to an individual plant or tree. 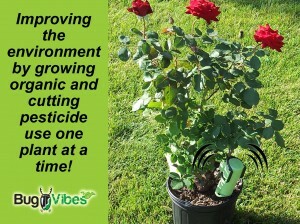 Once attached, BugVibes™ then gently vibrates the plant to target pests. Pests think there is a predator nearby and many flee. Originally designed to fight Japanese beetles, the Kickstarter launch expands the electronic to help include other pests. Please help improve the environment, make your family healthier, and cut down pesticide use by helping our campaign to expand BugVibes™. Even if you are not a gardener right now, our campaign offers a way to help the cause with updates or a fashionable t-shirt that will assist our company in reducing worldwide chemical use. To learn more about BugVibes™ see http://www.bugvibes.com. To learn more about our Kickstarter project and see the inspirational video, please see https://www.kickstarter.com/projects/organic-pest-control/bugvibestm-better-flowers-plants-trees-with-less-p. Using the special product offers only available on Kickstarter for 30 days from today, or even by just donating to the fight for more organics and non-GMO foods on Kickstarter, TechNich Solutions asks you to help us reduce pesticide use around the world one plant at a time. Please make sure to share the project with friends and family! Previous story Japanese Beetles – Extremely Hard to Fight!